"You have captured our speical day perfectly"
"Just Wow!! You have captured our special day perfectly Gaetano. We can't thank you enough! You're so incredibly talented and were an absolute pleasure to have there with us on our wedding day. Thank you!!" "We adore our video and our 2 min clip is incredible too!" "Gaetano was our wedding videographer and we couldn't have asked for a nicer more professional person to be with us on our special day. We adore our video and our 2 min clip is incredible too! 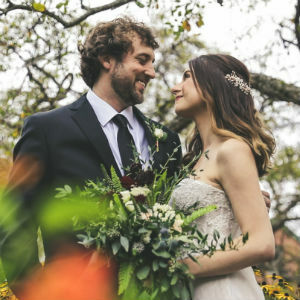 We'd 100% recommend to anyone looking for a videographer to capture your memories"
"The professionalism was unparalleled and he was always willing to go the extra mile"
"Gaetano and his crew filmed and photographed our wedding in both July and September as we had a split date wedding to elongate our celebrations. The professionalism was unparalleled, and he was always willing to go the extra mile to make sure we achieved every shot that was forming in our minds and bring it to life with his team. He captured all our heart warming moments with amazing camera angles and caught the peak moments of our joy by being on hand relentlessly at every opportunity. 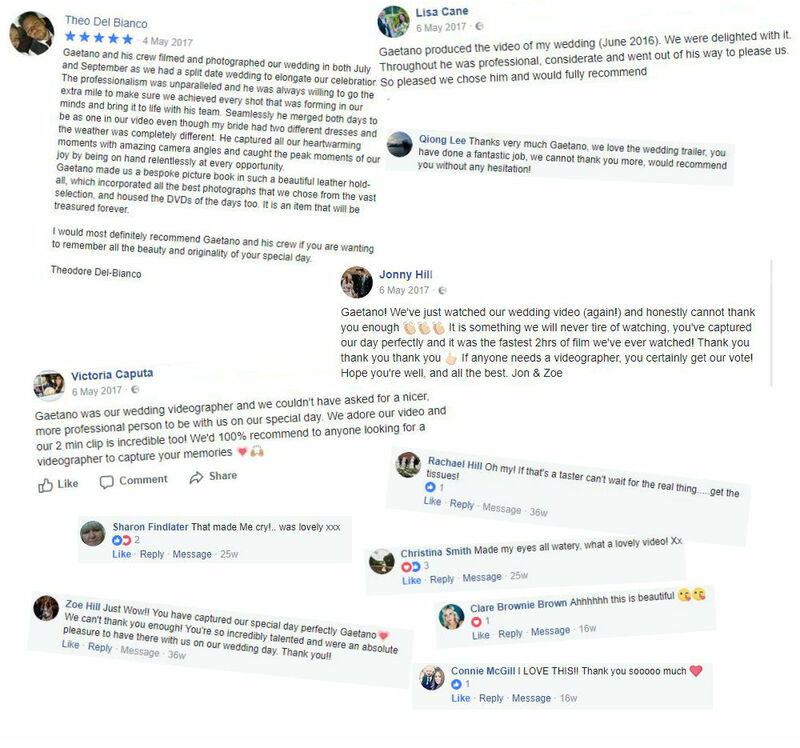 I would most definitely recommend Gaetano and his crew if you are wanting to remember all the beauty and originality of your special day"
"If anyone needs a videographer, you certainly get our vote! " "Gaetano! We’ve just watched our wedding video (again!) and honestly cannot thank you enough. It is something we will never tire of watching, you’ve captured our day perfectly and it was the fastest 2hrs of film we’ve ever watched! Thank you thank you thank you. If anyone needs a videographer, you certainly get our vote! Hope you’re well, and all the best." "So pleased we chose him and would fully recommend"
Gaetano produced the video of my wedding (June 2016). We were delighted with it. Throughout he was professional, considerate and went out of his way to please us. So pleased we chose him and would fully recommend. Just Wow!! You have captured our special day perfectly Gaetano. We can't thank you enough! You're so incredibly talented and were an absolute pleasure to have there with us on our wedding day. Thank you! !